A young girl who was left with horrific wounds to her face after a pitbull attacked her is set to undergo her fourth operation later this year. 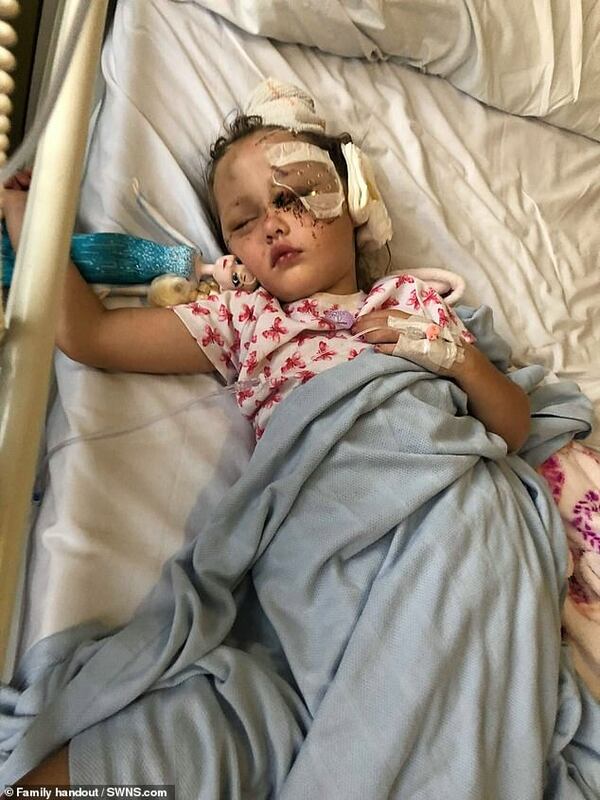 Tillie Vasey, from Ribbleton, Lancashire, underwent a nine hour operation after suffering bite marks, punctures around her eyes and eyelids, as well as a torn eye duct when a pitbull mauled her. 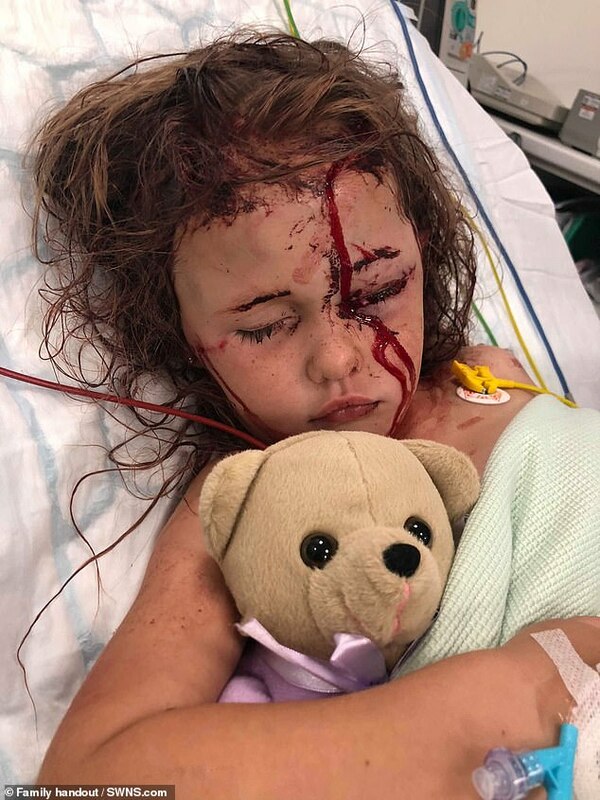 The four-year-old was attacked while playing with her friends in a garden, back in July 2018. The dog owner Dawn Holt, who blames the young her for the attack, has been spared from jail and ordered to do 140 hours of unpaid work. Her mother, Leanne Vasey, 31, said: ‘When I first saw Tillie I thought someone had painted her face – then I couldn’t move. The mother added that her little girl has been left with no confidence and physical scars on her head, face and eyes. ‘He’s not a dangerous dog hes been raise with my son and all my nieces and nephews for 12 years. ‘It’s sad I’ll never speak to that girl again and it’s her own fault she gone that low,’ she said. 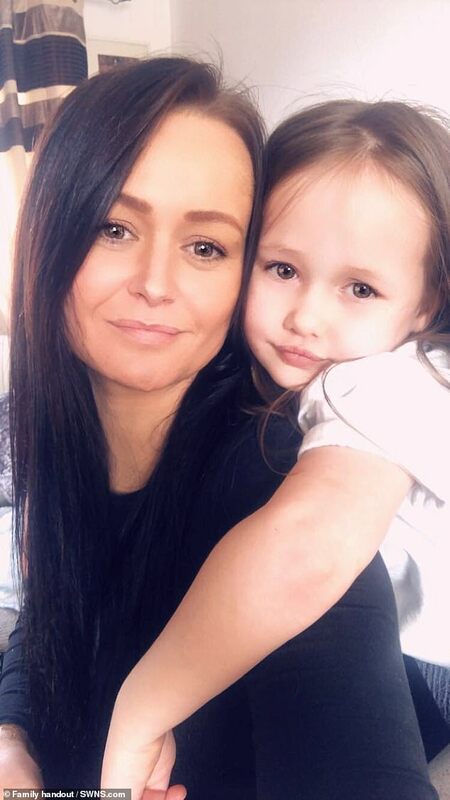 Her bizarre online comments in the aftermath of the attack attracted criticism from Judge Simon Newell, who imposed a three month jail term, suspended for 18 months, and 140 hours unpaid work. He said suggestions by Holt that the injuries were caused by the dog’s claws are ‘unrealistic’. Judge Newell also pointed out suggestions in social media posts that what happened was the youngsters’s fault were ‘wholly irresponsible’. ‘It’s irresponsible to put anything on, other than: ‘I’m sorry’, that’s all you needed,’ he said. He also ordered the 12 year old pitbull to be destroyed and a life ban on her keeping dogs. 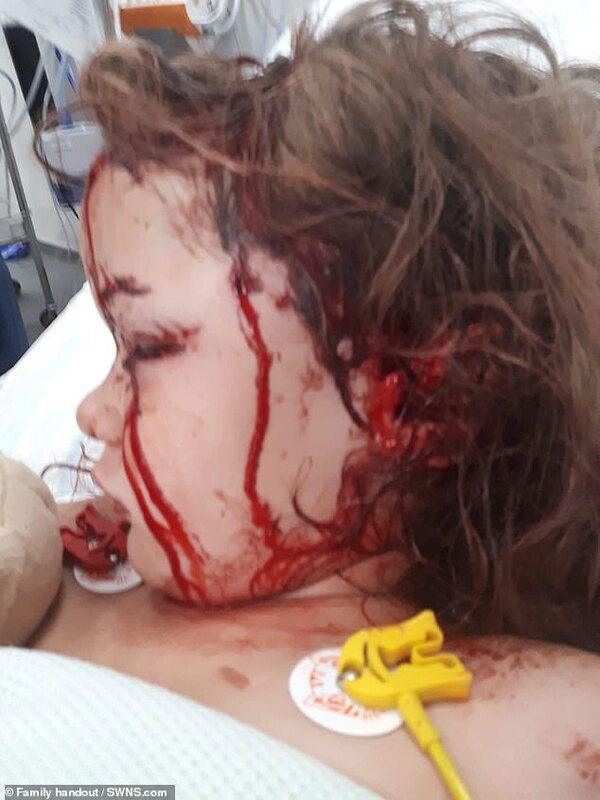 A harrowing statement from a witness named Warren – who stepped in to save Tillie – described the moment he saw the dog ‘mauling’ the little girl.